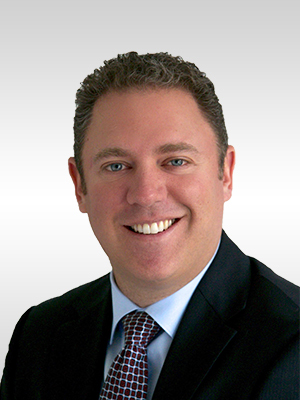 Brian began his career in public accounting at a prominent firm in Buffalo, NY where Danforth was a major client. He worked on Danforth’s account for 7 years performing accounting, tax and auditing services. During this time he also worked to provide compliance, management advisory and business valuation services to over 100 other diverse business entities with his main concentration being the construction industry. While working in the public accounting field, Brian met the state education and experience requirements for the titles of Certified Public Accountant (CPA) and Certified Valuation Analyst (CVA). In 2003, Brian left public accounting to become the Vice President of a full service General Construction company. Brian was responsible for the overall operations of the company, including planning and directing all aspects of the organization’s financial and operational policies, procedures, objectives and initiatives. Brian was instrumental in the company’s long-term strategic planning as well as the management of the day-to-day issues related to finance, administration and construction operations. Brian was responsible for actively seeking opportunities for diversification and expansion into new areas while maintaining focus on the company’s profitability and customer service. During this time, Brian’s relationship with Danforth continued to grow as they were his main subcontractor for all Plumbing, HVAC and mechanical work. With over 20 years of work experience and proven leadership in all facets of accounting, finance, operations, construction and business management, Brian joined The John W. Danforth Company in 2012 as the Chief Financial Officer. Both Brian and Danforth wanted to continue to build upon the successful long-term relationship they had established over the years. Brian currently oversees the Accounting, Finance, Risk Control, Insurance, HR and IT departments. He ensures that these areas of the business are all aligned and performing effectively and efficiently in accordance with the mission and core values of Danforth. In addition, Brian acts as a Steward of company assets as well as a financial strategist providing short and long-term financial budgets, analysis and forecasting for the company to make key decisions.